Anton Kashshai did not seriously consider painting only until his later years. 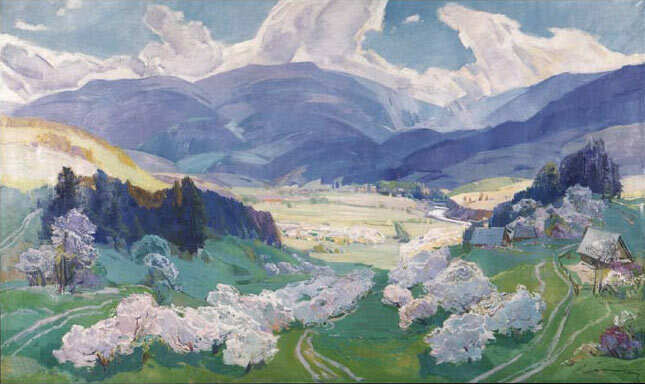 He started as a traditionally realist painter, capturing Ukrainian landscape, incorporating some impressionist techniques as well. Blue hues remind us of the work of Cézanne and his mountain landscapes, but whereas the French Post-impressionist is more geometric in his handling of the scenery, Kashshai softens the angles. Both were, however, deeply concerned with the feeling the nature gives them and transferring it to the canvas.